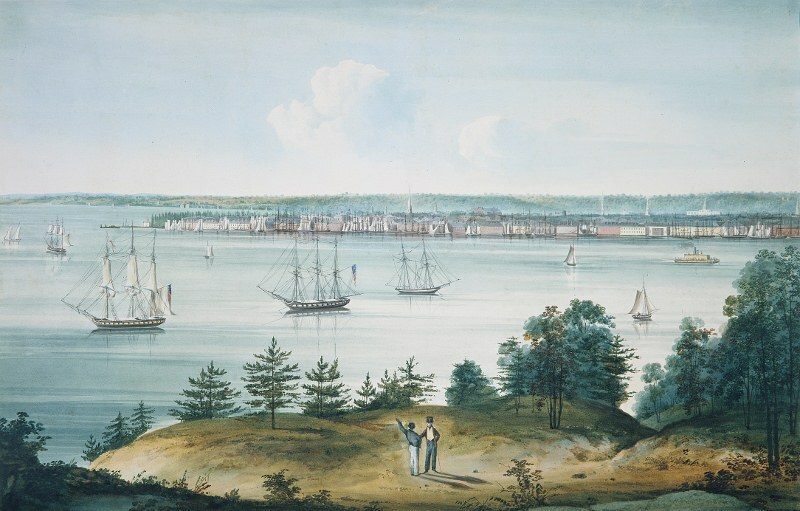 What was life like for a foreigner in the United States in the early 1820s? 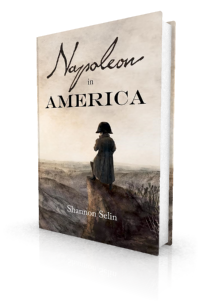 This was one of many questions I looked into when writing Napoleon in America. Fortunately, many early 19th-century writers provided answers. One of them was William Cobbett, a farmer, journalist and politician described by historian A.J.P. Taylor as the second greatest Englishman (after Samuel Johnson) ever to have lived. (1) Cobbett resided in the United States from 1792 to 1800, and again from 1817 to 1819, where he settled on a farm on Long Island. In 1820, “a farmer, whose lease will expire this year, and who says that he has four children, and that his capital may possibly amount to five thousand pounds,” asked Cobbett about emigrating from Britain to America. Here’s the answer Cobbett gave in his Political Register, a weekly newspaper that he published from 1802 until his death in 1835. You ask me, first, whether I would advise you to go to America; second, what part of it I would advise you to go to; and, third, what I would advise you to do with your money, when you get there. With regard to the part of America which it is best to settle in, it is such perfect madness for Englishmen to think of going into a wilderness, that I shall suppose you quite incapable of entertaining any such notion. Somewhere on the borders of the Atlantic is the place for you. … [T]he City of New York is inhabited, in great part, by English, Scotch and Irish, and…it resembles an English town, in point of manners and customs, much more than any other place that I have seen in America. To furnish a house does not cost above half as much as it costs to furnish a house in England. … How cheap wood is there, you may guess from this fact: that I used to give twelve cents and a half, which is an English sixpence-half-penny, for pine boards an inch thick, twelve feet long, and nine inches wide! And these are to be gotten at any time and in any quantity, at any place, within forty or fifty miles of New York, the expenses of carriage being hardly worth naming. Goose feathers, which, in England, sell for five or six English shillings a pound, are there to be bought for two and sixpence; and for much less if you go a little back into the country. All articles that go from England are to be bought cheaper at New York than in London; and the most elegant furniture, in wood, is made at New York, for less than half the London price. Then, as to horses and carriages. The former may be nearly the same price as in England; but the latter, figure for figure, do not cost nearly so much as in England; while the durability of the American carriages, and their lightness (both these latter qualities owing to the vast superiority of the woods which are used in America), render the American carriages not a fourth part of the price of those in England. The hog meat is far superior to any thing of the kind known in England. There is more than one reason for this; but the chief reason is that the pigs are fatted with that delightful thing, the Indian Corn, which is eaten in all its stages of growth by man, woman and child. The beef in America is as full fine as in England…. Butter is cheaper than in England. Cheese full as good, upon an average, as the English cheese, is at about two thirds of the English average price. Spices of all sorts, at a quarter part of the English price. Tea, at less than half the English price. Sugar, the same. Coffee at a third of the English price. The chocolate in England is at about six shillings a pound, at New York it is about fourteen pence, English money. Candles and soap, at about half the English price; and, if you choose to make them yourself, they cost still less. Wax candles are very little dearer there than tallow mould candles are in London. Salt for an eighth part of the English price. Beer, if you brew it yourself, will not cost you more than about eight-pence English money, a gallon. I mean strong beer; for nobody will drink small beer in that country. Claret wine, from six pence to eight pence English, a quart. Port wine, from a shilling to sixteen pence a quart. Madeira wine from two shillings to three shillings a quart, and, as to spirits, if you should be so beastly as to use them, you may have them for eighteen pence, English money, a gallon. No tax on the house, on the land, on your horses, or on any thing else. But there would come a taxgatherer, once in the year, and only once, to take from you three or four pounds sterling for the support of the Government, the repairs of the excellent highways, the maintenance of schools in your township, and the relief of the poor! … Plenty of churches and of meeting-houses, to one, or all of which you might belong, if you pleased, and to the support of which you might pay, if you pleased. But if you did not please, you might go to them when you liked, without paying any thing at all. And then as to shoes, the climate is so fine that there are not more than about twenty-five dirty days in a year; and those are wet, rather than dirty. … As to hats…they cost about the same sum that hats do here, but for that same sum you have a hat about three times as good. The hats being made there, in great part, at least, of real beaver fur, and not of wool and glue. Your head is covered completely without your feeling a weight upon it enough to squeeze your brains out. In summertime people wear white hats, some of which are made there. The most elegant come from the Spanish and Italian dominions, and these, not having passed under the grip of an English tax-gatherer, you have for a quarter part of the price that you can buy them in England. AJP Taylor, An Old Man’s Diary (London, 1984), p. 96. Cobbett’s Weekly Political Register, Vol. 35, No. 19 (London, January 15, 1820), pp. 583-598. I particularly liked the last paragraph about the people: “[T]he people in and about New York, taken altogether, are those that an Englishman would like best.” In fact, the whole last paragraph resonates today! When he was in New York, Cobbett befriended John Tredwell, who owned a horse farm near where he was staying. Tredwell was the older brother of Seabury Tredwell, a NYC hardware merchant, whose home on East 4th Street In now the Merchant’s House Museum. Thanks for this information, Ann. I’m going to go and look up the Tredwell family and learn more about the museum. your blog is wonderful I saw it through a friend on facebook! Thanks, Eliza. I’m glad you’re enjoying it. The most gay promenades in and about London, and even the boxes of our licenced and degraded theatres, are, in point of female dresses, perfect beggary compared with the every day exhibition in the “Broad way” of New York; where the very look of every creature you meet gives evidence of the existence of no taxation without representation.